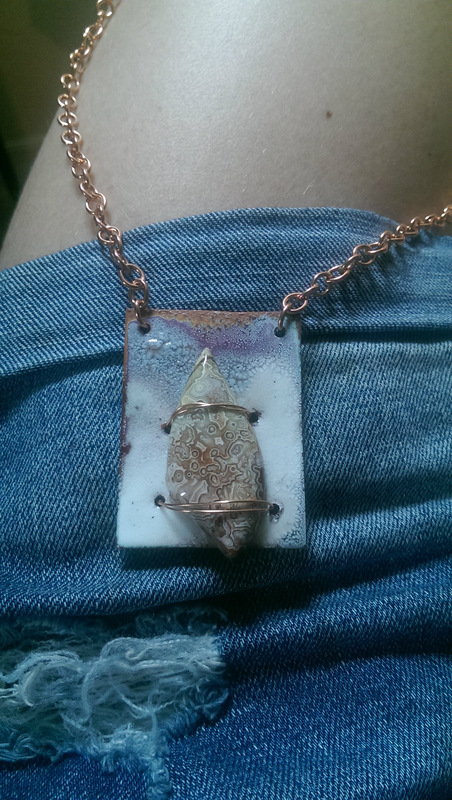 Salvaged copper hand forged into a 2" long by 1 1/2" wide pendant - enameled with titanium white enamel and transparent enamels, over-fired to created an array of colors permanently captured in glass and topped with a large crazy lace agate cabochon attached with copper wire. Back of the pendant is counter enameled in an opaque black. 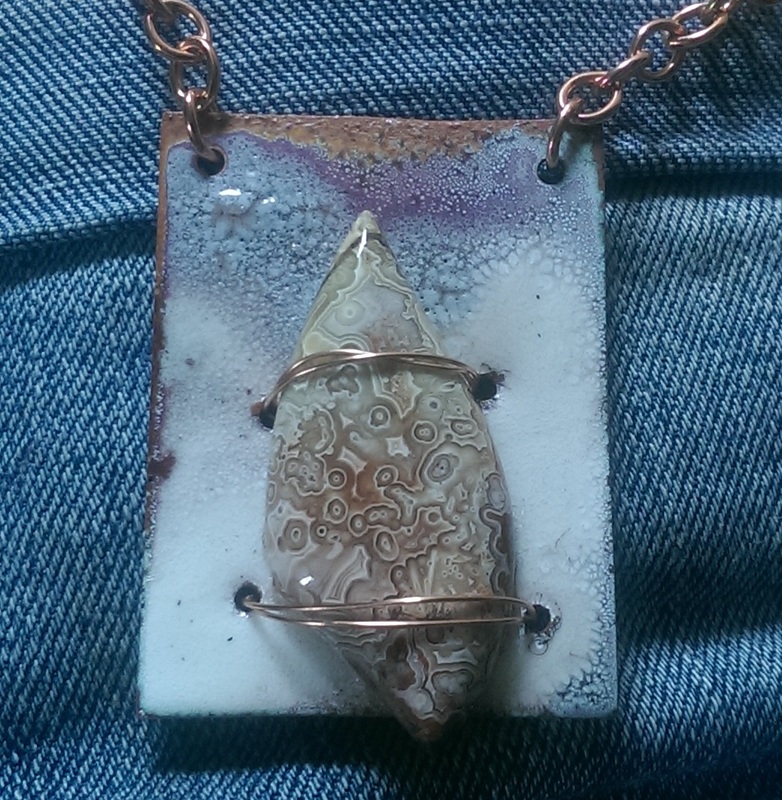 Solid copper chain with a handcrafted, copper wire clasp. This one of a kind statement necklace is sure to turn heads. Handcrafted by yours truly in St. Petersburg, FL.